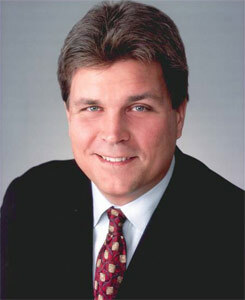 Ed W. Muransky is Chairman of the Board and Founder of The Muransky Companies, a multifaceted business management company, and also Founder, Chairman, CEO and majority owner of the Surgical Hospital at Southwoods in Boardman, Ohio – an accredited, state-of-the-art inpatient surgical hospital that serves more than 20,000 patients annually. Ed also serves as Founder, Chairman and CEO of Chestnut Land Company, the holding company for Auntie Anne's Soft Pretzel franchises operating throughout the United States. There are now over 1,000 employees under Muransky's management whose endeavors include a wide array of real estate and medical development projects. A football and academic All-American at the University of Michigan, Muransky went on to play with the Oakland Raiders in the National Football League before pursuing his business interests full-time. Muransky was on the Super Bowl XVIII Championship Team. He currently lives in Poland, Ohio with his wife Christine and has three children Eddie, a graduate of the University of Michigan law school, Deloran and Donielle graduates of Washington University in St. Louis. Ed is active in many local community groups that focus on the youth. He currently serves on the Board for the Better Business Bureau, Youngstown Mahoning Valley United Way and the Difference Makers. He has participated and chaired in fundraising events for the Boys & Girls Club, Salvation Army, Beatitude House, Millcreek Children's Center, American Diabetes Association, American Heart Association, Circle of Friends, American Cancer Society and the Make-A-Wish Foundation.